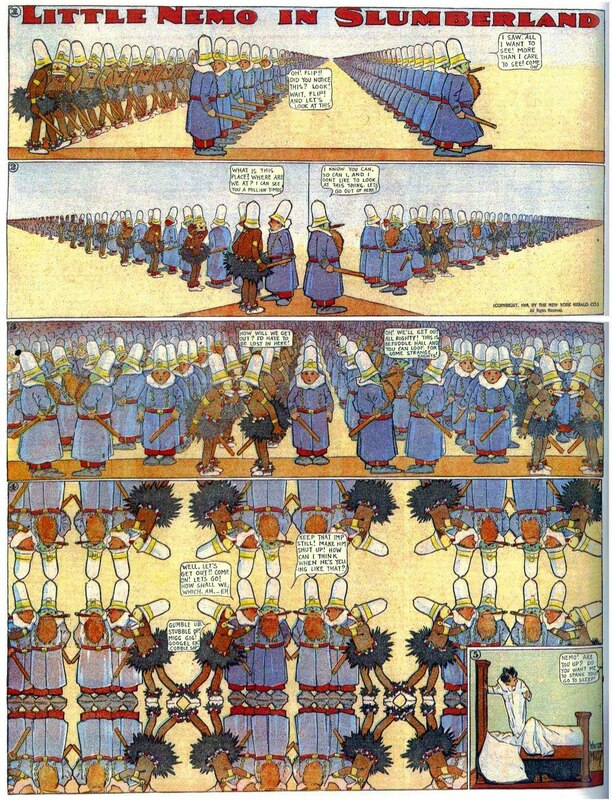 Today's trick comes from Winsor McCay, from a 1908 Little Nemo in Slumberland sequence. Sometimes, a trick can just be looking really cool! Enjoy this wonderfully designed page!